Back in April the IIBA NW&E branch, in partnership with the BBC Academy, ran a successful event for over 100 Business Analysts at the BBC’s new MediaCityUK building in Salford. The presentations on the evening were recorded and made available via BBC Academy’s YouTube Channel. Most products in BBC Future Media are built by teams implementing Scrum yet Scrum doesn’t define a BA role… so what exactly does a BA in a Scrum team do? Niko Vijayaratnam, Senior Business Analyst in BBC Future Media – News, explores this subject looking at the work that BAs in BBC FM produce and discusses their importance to the success of recent projects. Niko has been a Senior Business Analyst at the BBC since 2010 working on a range of projects from developing new in-house facing tools for editorial to audience facing products to cover events like the 2012 London Olympics. John started his career 12 years ago working in an IT role, before moving into management accounting and finance. Eventually John found an ideal role to combine both of these areas working as a business analyst, specialising in ERP/corporate systems, which unknowingly his previous roles and experience had provided him the skills for. Angela began her journey into projects twelve years ago in the IT department of a car manufacturer, where the analysis phase was comprehensive, the objective closely guarded and the requirements rigorously tested. Being an impressionable apprentice Angela believed all projects must be this way and so set off through a decade with variable success before finding the term ‘Business Analysis’ to neatly describe the way she worked. Having just studied the academic side of the discipline in recent months Angela presents a light hearted look at how she is reconciling wearing both the BA and PM hats in her current role and how she aims to make the two happy bedfellows for successful projects. 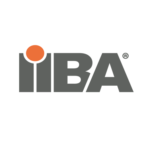 IIBA is a non-profit professional association focused on the development and professional recognition of the Business Analyst. Why not see what events are coming up near you?